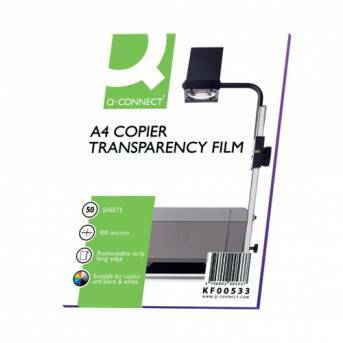 This Q-Connect Copier Film is ideal for over head projection that is clear and sharp. With the same sharp printing that you would expect from a laser printer, you can be sure that colour and black and white prints keep the same high definition. When you really need to impress with a presentation, this is the perfect way to ensure that you can have the highest quality visual aid possible. These films are easy to print and even simpler to use.